October is just around the corner! Boulder’s calendar is bursting with fall festivals, pumpkin patches, Halloween parades, costume contests, Oktoberfest celebrations and so much more! Scroll down to discover 30+ fun and festive events happening in the Boulder area in October 2018. When: September 27 – October 7, 2018, full schedule here. CU Boulder Theater and Dance presents a play adapted from the novel Great Expectations by Charles Dickens. In this memorable tale of crime, guilt, revenge and reward, follow Pip—an orphaned blacksmith’s apprentice—as he dares to dream of becoming a gentleman … until one day, under sudden and enigmatic circumstances, he finds himself in possession of “great expectations” from an unlikely benefactor. Great Expectations will be held at Loft Theatre at the CU Boulder University of Theatre & Dance, 1595 Pleasant St, Boulder, CO 80302. Tickets start at $16, available here. Filmgoers in Boulder can unite with over 100,000 film-lovers at the 21st Annual MANHATTAN SHORT Film Festival screens at the Dairy Arts Center Boedecker Theater. During the week of September 27 to October 7, 2018, over 100,000 film lovers in more than 250 cities across six continents gather in Cinemas, Museums, and Universities for one purpose…to view and vote on the Finalists’ Films in the 21st Annual MANHATTAN SHORT Film Festival. The Manhattan Short Film Festival will be held at the Boedecker Theater, 2590 Walnut St, Boulder, CO 80302. Tickets $6.50 – $12, available here. Boulder Dinner Theater is located at 5501 Arapahoe Ave, Boulder, CO 80303. Tickets $56+, available here. Join Growing Gardens for a FREE fall celebration! This Community Harvest Festival will feature fun activities like pumpkin and face painting, a bubble machine, lawn games and more. There will be a live bluegrass band, a Biergarten and several food trucks. No dogs at this event, please, they might scare the goats. Growing Gardens is located at 1630 Hawthorn Ave, Boulder, CO 80304. This is a free event with a suggested donation of $5-$10/famiy. When: October 5 – October 7, 2018, schedule here. The Boulder Tango Festival is back at the Avalon Ballroom with tons of dance workshops including a free beginners class! Tango and folk dance demonstrations will be held by world class dancers. For all the details and full schedule, click here. The Boulder Tango Festival is held at the Avalon Ballroom, 6185 Arapahoe Rd, Boulder, CO 80303. Prices, options, and registration here. Offering fresh fruit, flowers, veggies, and delicious edibles, the Boulder Farmers’ Market provides a place for locals to sell their products in a friendly, fun environment. Twice a week, residents and visitors can fill their bags with goodies. Boulder Farmers Market is held on 13th Street next to Central Park, Boulder, CO 80308. Join a paranormal investigation of the historic and spiritually active Bluebird Lodge in beautiful Gold Hill. The event includes a barbecue at sunset and a lantern tour to the cemetery. Event Cost: Rooms $130 includes admission for 2 and BBQ, coffee & pastries. Additional people $25 per person. Call Grayson @ (720) 822-4943 to RSVP. When: October 5 – 7, 2017, Full schedule here. Embark on a transformative journey at the world premiere of the 14th annual Adventure Film Festival & Street Fair at the historic Boulder Theater. It all begins at the Adventure Film Festival Kick-Off, held at Avery Brewing Company featuring frosty Avery Craft brews, tasty street tacos by McDevitt Taco Supply, film previews, and live music! Over the weekend, the Adventure Film School is hosting a two-day interactive photography and filmmaking workshop with world-class adventurers and industry leaders. Throughout the festival, the Boulder Theater will be presenting adventure films as well as live music, special guests and a raffle. See the full festival program for all the special events, including the Kids Show with Jeff and Paige and Adventure Street Fair, happening Saturday and Sunday afternoons in front of the courthouse on Pearl Street. Adventure Film Festival will be held at Boulder Theater, 2032 14th St, Boulder, CO 80302. Tickets $40 – $70, available here. Boulder Valley’s Indigenous People’s Day is a special time for the community to embrace the beauty of indigenous culture and history. The event features the Arapaho Trading Camp, where indigenous artisans sell traditional art & jewelry along with food & beverage in order to support their tribes and other Indigenous Peoples Day celebrations in the future. In addition, the IPD Pow Wow is a chance for the community to learn about indigenous traditions and practices through crafts, traditional dresses, song, and dance. The IPD Parade (Monday, October 8th from 8AM – 11AM) will be the culmination of the weekend’s celebration and a profound moment of healing and reflection for the people of Boulder Valley and all along the Front Range. For all the details, click here. Broomfield is bringing back the 3rd Annual Broomfield BrewHaHa on Saturday, October 6, 2018 at Arista. The festival will have two bands, food trucks, brews from Broomfield Breweries, yard games, and more. Broomfield F.I.S.H. will be hosting a food drive during the event! Broomfield Brewhaha will be held at Arista Park on Arista Place. Join the Longmont Museum for the free Day of the Dead opening reception where you will be among the first to see Xólotl: Dios Perro, a monumental sculpture by Mexican artist Oscar Becerra. Día de los Muertos (Day of the Dead) is a time to honor and celebrate deceased loved ones. Altars for the dead created by community members are also a central part of the exhibit. The opening includes a complimentary deluxe nacho bar courtesy of Cyclhops Mexican Cantina and a cash bar. For more details, click here. The Longmont Museum and Cultural Center is located at 400 Quail Rd, Longmont, CO 80501. This event is FREE. The Pumpkins and Pilsners Festival has activities and entertainment for all ages, with proceeds going to local non-profit Families for Estes. The festival is the perfect place to pick your pumpkins with live music and craft beer for the adults, as well as games, crafts and a bounce house for the little ones. Enjoy additional free children’s activities like pony rides (free from 1-4pm), face painting, kids art activity booths, bounce house, and giant lawn games. Challenge your friends in the strider mini-bike course (bikes and helmets provided). The pumpkin patch sells pumpkins for only $5 each and you can set them aside in the well-guarded ‘sold’ corral while you enjoy the fun. Raffle tickets will be sold for $1 each for your chance to win some fabulous prizes! Each year a hand-picked selection of seasonal, local craft beers are on hand. There will also be food vendors and food trucks, as well as live music. More information available here. Pumpkins and Pilsners will be held in Bond Park, 170 MacGregor Ave, Estes Park, CO. Admission is FREE. Drop in and play, sing, read, write and talk at activity stations throughout the Main Boulder Public Library for the Family Play Festival. Families with young children (birth to age 5) enjoy 30+ interactive early literacy activities and take home crafts and great prizes as well as new ideas for family fun. Each station includes special activities for babies. Family Play Festival is held at Boulder Public Library, 1001 Arapahoe Ave, Boulder, Colorado 80302. This event is FREE. Pumpkin Pie Days: Vintage & Antique Market will be held at the Boulder County Fairgrounds. The market features high-end dealers and collectors of furniture, books, primitives, décor, toys, fine jewelry, costume jewelry, vintage clothing, plus much, much more! The show also includes glass grinder, bake sale, and art show. Admissions and café sales benefit The St. Vrain Historical Society‘s mission of historic preservation and education in the community. Pumpkin Pie Days is held at Boulder County Fairgrounds, 9595 Nelson Rd, Longmont, CO 80501. The Boulder Philharmonic Brass Quintet presents Dvorak, Albeniz and more in a free concert in collaboration with Boulder Ballet. This concert will be held at the Boulder Public Library, 1001 Arapahoe Ave, Boulder, CO 80302. What is it that attracts so many of us to “funky” in our cities and communities? In a world hell-bent on control, on perfection, predictability and the illusion of security, why are we drawn to imperfection, serendipity, surprise and impermanence? City planning by nature, can squeeze the life out of cities as they often come about planning to control chaos or disorder, with no awareness of the human desires and need for a balance that leads to freedom, creative interactions, open-endedness, and chance encounters. Architects, planners, and developers from Santa Barbara, Denver, and Boulder will show how they went beyond gentrification to create desirable places of authenticity. The “We Love the Funk” Event will open its doors on Wednesday, October 17 at 6:00PM at The Museum of Boulder. Expect great food and enjoy drinks while learning from and sharing experiences with other like-minded modern design enthusiasts. The Museum of Boulder is located at 2205 Broadway, Boulder, CO 80302. Tickets $12, available here. Come sing together at the birthplace of World Singing Day with friends and neighbors. Sing to the original recordings of popular songs, from Bruno Mars to the Beatles and Sinatra, at the 4th annual Sing Along Boulder. Free lyric booklets and stickers. For all ages and singing abilities. Free Jeff & Paige kids concert and parade from 10:45 – 11:30 am before the singalong on the Pearl Street Mall. This event will be held in front of the courthouse on the Pearl Street Mall, 1320 Pearl St, Boulder, CO 80302. This event is FREE. Rocky Mountain Brew Runs and Front Range Brewing Company is hosting the Boo Brew Run to benefit the Humane Society of Boulder Valley. This flat and fast course will take you along the beautiful winding Coal Creek trail with views of the iconic snowcapped Longs Peak and Boulder Flatirons. Afterward, kick back with a brew, enjoy delicious food and stick around for our fun games and the big costume contest! This “Boo” Brew Run is dog and family friendly, the course is stroller friendly and kids 12 and under run free. More details here. The Boo Brew Run will be held at Front Range Brewing Company, 400 W South Boulder Rd #1650, Lafayette, CO 80026. Cost: $35 includes run entry, brew, coaster, a fun custom pint glass and more fun giveaways from our sponsors. Tickets here. Color Me Mine is teaming up with Museum of Boulder to host a Pumpkin Palooza Painting Party. Several varieties of ceramic pumpkins will be available to choose from… like a real pumpkin patch! Cost includes ceramic, plus all supplies, paints, glazing, and firing. 25% of all profits go back to the museum. The Museum of Boulder is located at 2205 Broadway, Boulder, CO 80302. Price will range based on pumpkin size ($25-$45). Denver’s #1 bridal show, the Colorado Bridal Show will be held at the Omni Hotel in Broomfield. Shop the wedding professionals and get show-only discounts from Denver’s wedding professionals: DJ’s, Photographers, Videographers, Bridal Registries, Reception & Ceremony Sites, Tuxedos, Rehearsal Dinner Locations, Florists and so much more. Pick-up free wedding magazines! Sample cakes & catering. Prizes and giveaways. For all the details, click here. The Colorado Bridal Show will be held at Omni Interlocken Hotel, 500 Interlocken Blvd, Broomfield, CO 80021. Admission: $10/door. To save $3 on admission, pre-purchase your tickets online here. When: Main Event held Saturday, October 27, 2018 at 7PM, also held Halloween Night at 7PM. The Mall Crawl is Boulder’s Halloween tradition where ghastly ghouls crawl Pearl Street Mall and revel in Mall Crawl’s magic. This is a free, unorganized event that goes back to the 1980s. Wear a costume, bring a friend! And keep an eye out for the Thriller Dance. The Boulder Mall Crawl is held on the Pearl Street Mall in downtown Boulder. The event is FREE. Bumblebee and Optimus Prime. Bring the dog to Chuck and Don’s annual Halloween pet parade and photo booth station! The Town of Erie’s Trunk or Treat event has moved downtown and expanded, bring you Boo! on Briggs Street. Trunks will be parked in the parking lots on the southeast corner of Wells and Briggs and the northeast corner of Moffat and Briggs in Erie. Boo! on Briggs Street will feature costume contests (ages 0-8, 9+ ($5) and group/theme ($10). The night will be capped off with a glow-in-the-dark dance party complete with a professional DJ and complimentary glow-in-the-dark giveaways for the kids. This event is held in Downtown Erie, Briggs Street between Moffat and Wells, Erie, CO 80516. This event is FREE. 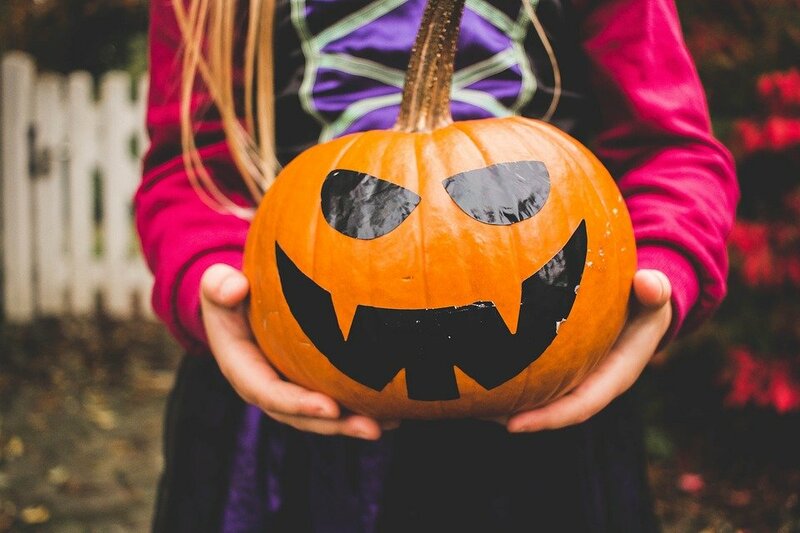 Dress up in your Halloween Costume, for Longmont’s Halloween Parade on Main Street and visit Downtown participating merchants for Trick or Treat Street immediately following the parade. Kids of all ages can be a part of this costume foot parade. No registration is required! Strollers or wagons are recommended for tiny feet; no motorized vehicles or large animals. Dogs must be leashed. 9:30AM: Line-up in front of the St. Vrain Memorial Building.10AM: Foot Parade Start. Come in costume. Route will be lengthy; wagons and strollers recommended. Enjoy the sounds of local bands interspersed within the parade. Map of the event here. This event will be held on Main Street in Longmont. This event is FREE. The world famous Eerie Erie is a Halloween themed 5k and 10k race that runs through historic downtown Erie and takes advantage of our beautiful trail system that weaves along Coal Creek open space areas. The 10k passes by scenic Pleasant Hill Cemetery with panoramic views and where friendly spirits can’t wait to visit this year’s runners. Eerie Erie is the primary fundraiser for the Optimist Club of Erie, a non-profit organization whose sole mission is to benefit the children of our community by funding youth specific events, programs and activities throughout the year. The Eerie Erie will be held at Erie Middle School, 650 Main St, Erie, CO 80516. Registration $30, register here. This event will be held at the Broomfield Community Center, 280 Spader Way, Broomfield, CO 80020. Tickets $5 in advance, $6 at the door. Tickets available here. Check out Louisville’s Halloween race — Monster Dash! Throw on your costume and get ready to run. There will be 2 distance choices, the 5k “Fun Run” is for the entire family to run together (Ages 5 and up)…strollers allowed. The 10k Race is for the bit more serious runners going for a place in their age divisions. Immediately following the 5k and 10k, there will be 3 different races for the “Little Zombies” ranging from 1/4 mile to 1 full mile. Kids receive custom kids bib, glow stick, meal, milk/drink, kids candy, finisher medal and cool finisher gift. Post-event activities include a costume contest, trick or treating for kids as well as a party where adults will receive one free beer from Avery and kids receive free juice or soda. For more info, click here. Monster Dash will be held in the Louisville Old Town District, Community Park, 955 Bella Vista Drive, Louisville 80027. 5k Fun Run -$30 ($40 day of race), 10k Run $35 ($45 day of race), Kids Races $10 ($15 day of race) To register click here. The Lafayette Fall Festival will be held at Bob L. Burger Recreation Center, 111 Baseline Rd, Lafayette, CO 80026. Each year, Downtown Boulder is invaded by thousands of tiny ghosts & goblins, dinosaurs & dragons, fairies & princes, superheroes and animals of every size trick-or-treating along Pearl Street for the Munchkin Masquerade. There will be over 100 places handing out treats along the Pearl Street Mall. Munchkin Masquerade will be held on the Pearl Street Mall, Pearl St, Boulder, CO 80302. This event is FREE.